NPQ loves the truly local nonprofit that serves the needs of its community in a tailored manner. Here is an example. An all-in-one fertilizer and weed control service is on loan for free at the NW Love All Animal Rescue in Battle Ground, Washington. Finally! Goats are increasingly used to clear weeds and shrubs in various settings because they actually prefer forbs or woody plants to grasses. 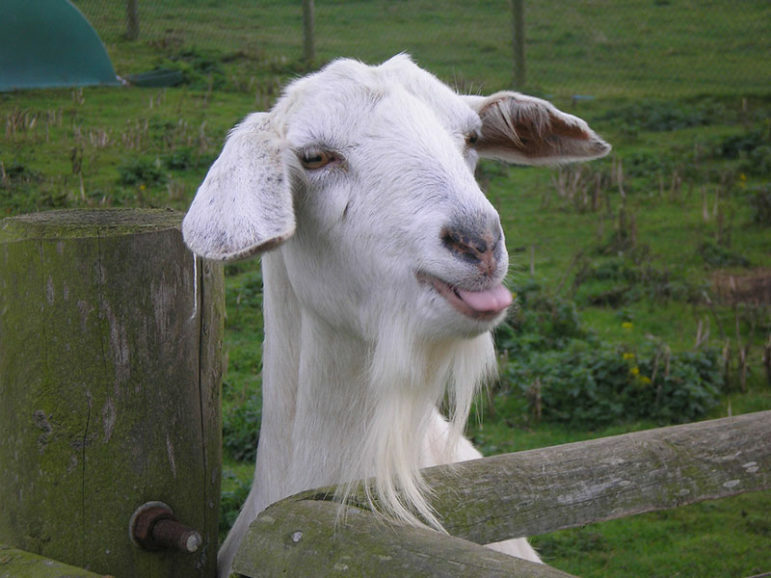 Because goats love to munch noxious weeds, they eliminate many of the viable seeds that reproduce year after year—and, of course, goats poop and then gently work it into the soil with their tiny little hooves. The “loaner” goats are available to anyone with a shrub and weed issue, though there are some requirements for borrowers: You must take two at a time so they don’t get lonely, and they have to have access to water and some kind of shelter though the group will even provide a portable shelter and fencing materials if you plan to provide a loving permanent adoptive home. In fact, if you happen to have predators in your area, the group will even provide a guard donkey and will send larger goats that can kinda take care of themselves. Other guard animals might include alpacas or llamas. Trouble is brewing in a crucial part of Trump’s base: American farmers.